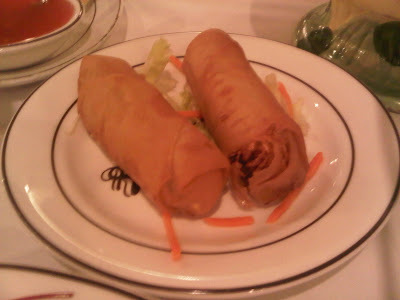 While on an evening stroll through the new neighborhood, TWSF ended up wandering to DC's Chinatown. For a country with a population of over 1.3 billion and climbing they sure do lack a presence in downtown DC. The Chinese restaurants and shops usually associated with a proper Chinatown are scattered over one city block adjacent to Verizon Center. Western chains are slowly squeezing out traditional Chinese establishments (they just opened a Vapianos for Petes sake). 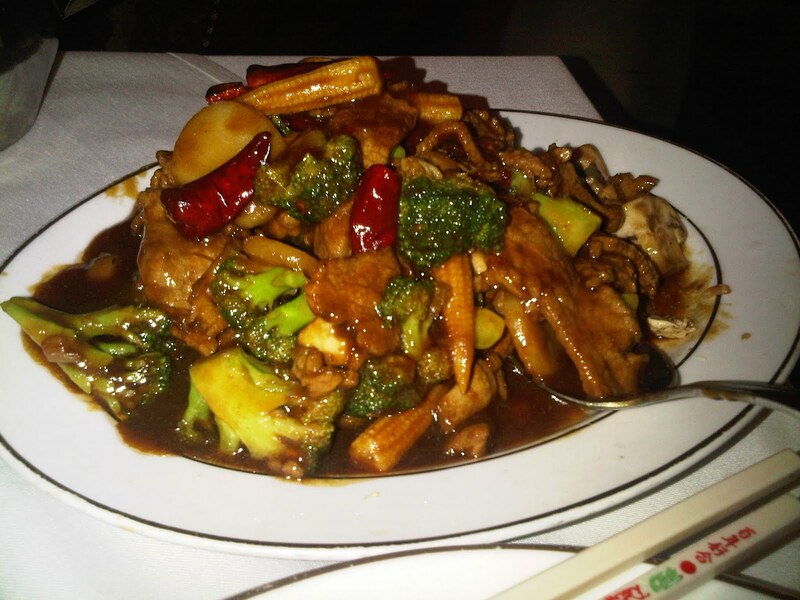 Despite its small scale, D.C.'s Chinatown is a still a fun place to visit and offers some classic Chinese food. After surveying our limited options, we decided to eat at Tony Cheng's, probably the most famous establishments in the area. It has won numerous awards including "Washington’s Best & Best Bargain Award" and has been visited by all sorts of celebrities as evident by the numerous pictures adorning the walls. Tony Cheng's spans across two floors, on the first is an "all you can eat" Mongolian buffet and on the second is a Chinese restaurant. It's nice to see Tony only uses a flight of stairs to separate Chinese and Mongolian influences rather than the traditional 5,500 mile long wall. We opted for Chinese considering it was late and we did not want to attempt the walk home after gorging ourselves. Megan couldn't believe her New England eyes as she perused Tony Cheng's drink menu. She had found the elusive drink she had been searching for all over the DMV (DC MD VA). After two years of scouring area bars and restaurants, she finally came face to face with her white whale, who was now staring up at her from the menu (in a full color picture). She had found the Scorpion Bowl. For all of Megan's fellow Massholes, you all "know what a Scorpion Bowl is and understand the important role it plays while dining on sushi and pu pu platters." 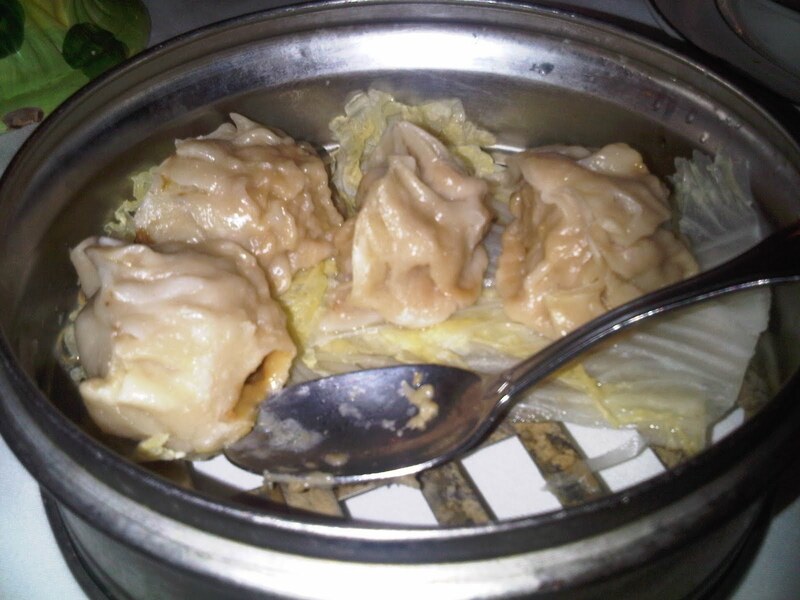 Megan was ecstatic, "Until this moment, I had yet to find an Asian restaurant serving this, and most of my friends from the area were clueless to its existence." Okay, she wasn't as dramatic as that, but you get the point. 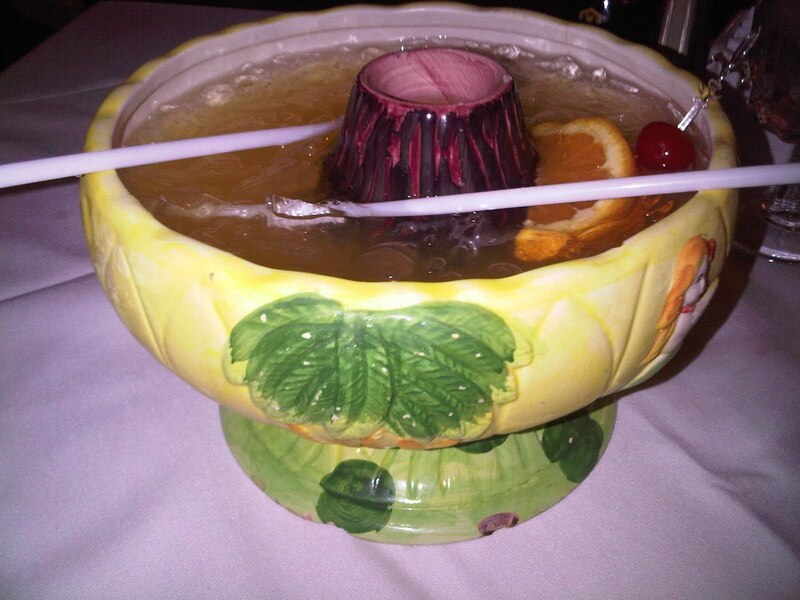 To bring the rest of us up to speed, Scorpion Bowls are bowls of alcoholic (rum and brandy) punch (orange and lemon). They typically come with a flaming shot of 151 in the center (although ours did not (Chuck's note: Why burn off the alcohol? )), along with orange slices and cherries. We got the Scorpion Bowl for two, pictured above. Megan wasn't at all surprised when our neighboring diners inquired about the Stanley Cup sized bowl that was sitting on on our table with a look of awe and jealousy on their faces. We weren't overly hungry, so we decided to get a couple appetizers and split an entrée. For appetizers, we went with the steamed pork dumplings and spring rolls. Both were good and the portion sizes were generous. Chuck ordered beef lo mein (his Chinese food litmus test) but the waiter brought out Beef Szechuan style, pictured at the top of the post. The waitress must have thought he ordered 'the beef' oh well it was good, most likely a house special and probably better than the lo mein. The serving was big, enough to share for dinner and provide a leftover lunch the next day. This place is great for if you are looking for a solid Chinese meal or if you are looking to end that search for the fruity white whale.